A severe keratoconus patient now has a chance to pursue his dream of becoming a pilot, thanks to his Laserfit Lenses. 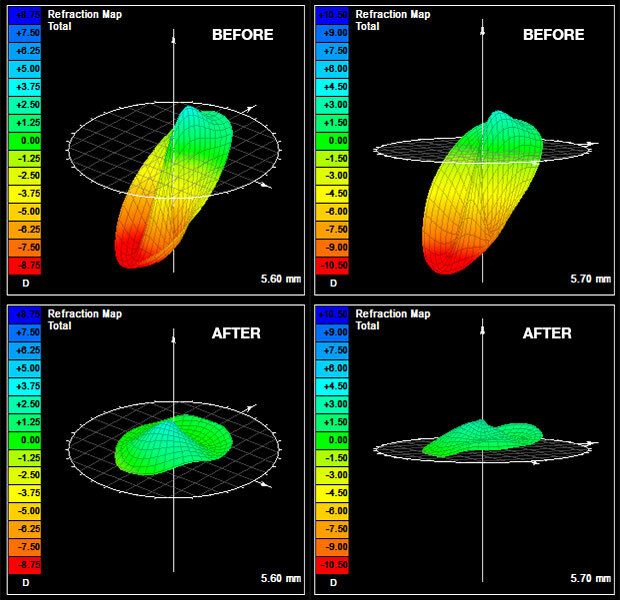 A few weeks ago, Alex saw my post about wavefront-guided scleral lenses on a keratoconus forum. He said that while RGP lenses improved his vision, he still did not have 20/20 vision in each eye and continued to experience massive amounts of glare and double vision. In this state, his chances for becoming a pilot were slim to none. What he wanted was a promise of 20/20 vision in each eye and and no glare or double vision. I replied that while I couldn’t make such a promise, I did feel confident that I could get close. Little did I know just how close we would get. With his current spectacles and about 4 diopters of astigmatism, he was only able to read the letters on the 20/40 line. While the first pair of LASERFIT LENSES fit perfectly and reduced his higher order aberrations by about 50%, they were still abnormally high, and his vision was only 20/30 in each eye. 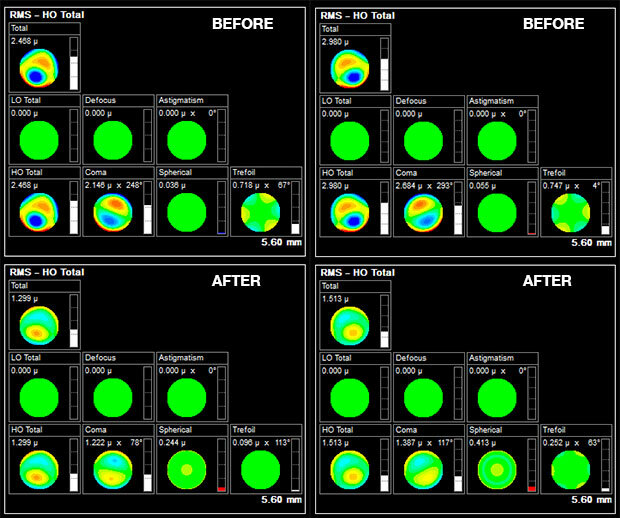 After several more attempts and incorporating wavefront-guided optics, we were able to reduce his higher order aberrations by another 75%, bringing them into the normal range. 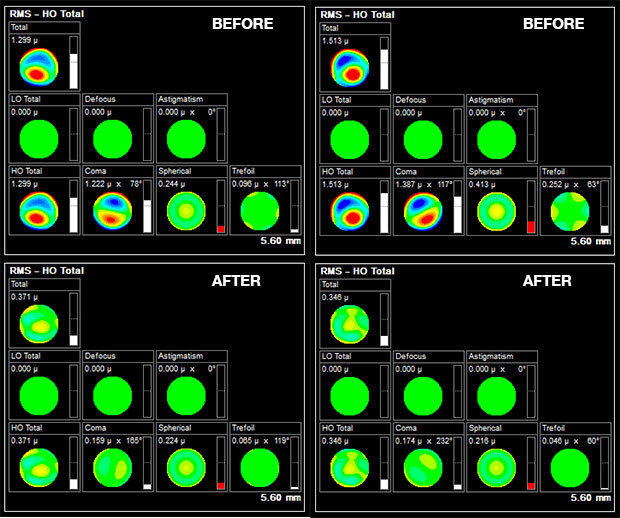 Coma was reduced by more than 90%, and visual acuities improved to 20/20 in one eye and 20/20- in the other. Incredulously, he noticed that there was no more glare. Alex told us that this was the best he felt he had ever seen, or ever remembered seeing. He now thinks that his chances of getting his pilot’s license are vastly better.